The world of Don Imus has officially tumbled to the ground. 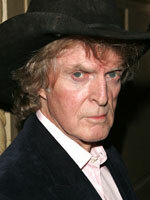 The morning after MSNBC pulled the plug on his radio show simulcast, “Extra” has learned Imus has been fired by CBS. Before the annoucement was made, ABC stars Charlie Gibson, George Stephanopoulos and presidential hopefuls Hilary Clinton and Barack Obama publicly deserted Don, and vowed never to appear on his show again. The shock jock's termination is effective immediately, after he was originally ordered to begin serving his two week radio suspension on Monday. And while Imus begins to pick up the pieces, his racial slurs have been the top story on all of the morning shows and the center of late night laughs. However, the Rutgers women’s basketball team was not laughing when they appeared on “The Oprah Winfrey Show,” although they didn’t exactly call for Imus to be fired either. “A lot of people are calling for him to be fired," Oprah pointed out. "But at this moment we're not because we want to have the opportunity to have a face to face meeting," the team's coach said. As the aftershocks of Imus’ poor choice of wording continue to shake the country, “Extra” is uncovering Imus on the other side of a racial firestorm, lashing out at Senator Al D’Mato, who made fun of Judge Ito during the OJ trial on Imus’ radio show in 1995. “He was trying to be funny, but he wasn’t,” Imus said at the time. “Extra” has learned that CBS honcho Les Moonves met today with Al Sharpton and Reverend Jesse Jackson to determine the fate of the radio host. And before a decision was reached, Jackson told “Extra” that Imus’ demise was imminent. “I think that they are leaning towards taking him off of the air,” Jackson revealed. And after 40 years on radio, Imus says what he does not want to be remembered for are the three words nobody seems to forget.